Almost 27 years after the United Nations adopted the U.N. Framework Convention on Climate Change (UNFCCC), many scientists now say there is no crisis caused by climate change. In the past few decades, people around the world have become used to hearing scientists insist that there’s a consensus on global warming and a resulting climate-change crisis. Most people never question the details of the so-called consensus that scientists have agreed to, because everyone knows the earth is getting warmer. 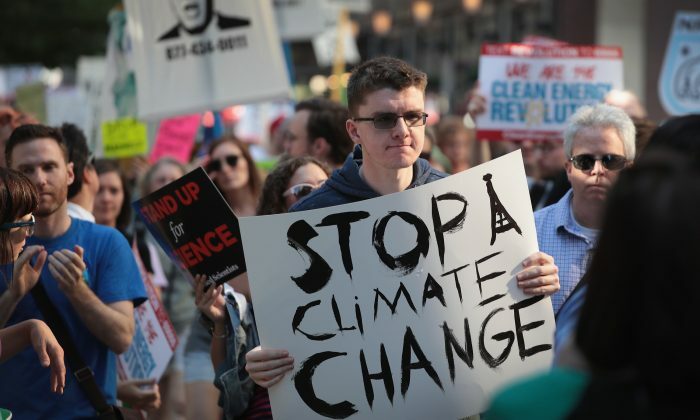 But to researchers and scientists at the Heartland Institute, an Illinois-based free-market think tank, the details of the climate-change issue are very important. “There are only two things scientists are in consensus: climate has become warmer, and the greenhouse gas generated by human activities made the temperature increase,” James Taylor, a senior fellow for environment and energy policy at Heartland Institute, told The Epoch Times. But “the real issue is whether we have created a climate crisis,” said Taylor, in an interview with C-Span on the Green New Deal on Jan. 8. In other words, a warmer climate doesn’t mean a crisis is coming. Taylor said the earth has been warmer or colder many times during human civilization. He said that for most of the past 6,000 to 8,000 years, the earth’s temperatures were much warmer than they are today. For the scientists and researchers at Heartland Institute, the only consensus is that global warming hasn’t brought a climate-change crisis. Many researchers and scientists in the United States have joined the campaign led by the institute to promote a healthy, science-based skepticism regarding climate change. 5. Gore in 2006 said that we had 10 years to save the planet, but the planet is still not doomed, as of the end of 2018. 4. Gore predicted that the Arctic would be ice-free by the summer of 2014, which was not the case. 3. It was said that the flow of the Gulf Stream would slow, leading to a climate catastrophe. But NASA data show the Gulf Stream current may actually be speeding up. 2. 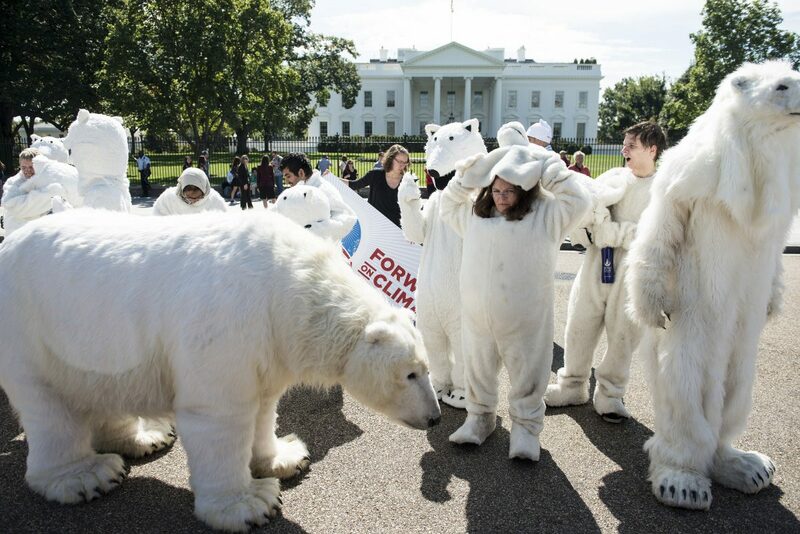 Polar bears were said to be in danger of extinction. But polar bear numbers are now at an all-time high. 1. Gore said in 2006 that sea levels would rise by as much as 20 feet “in the near future.” But the sea level increase hasn’t deviated from its pace of about 3 millimeters a year, or about the height of two dimes. 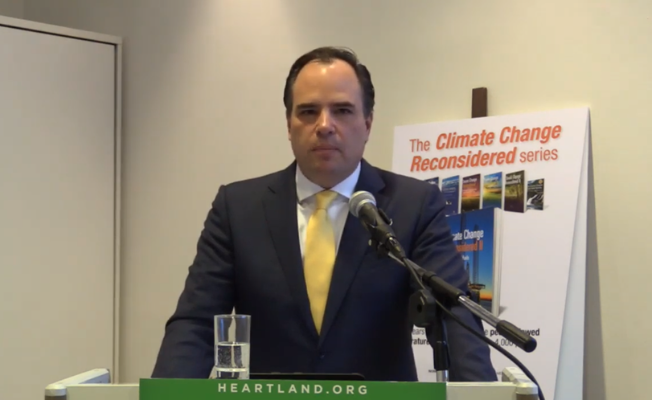 In September 2018, while the Global Climate Action Summit (GCAS) was being held in San Francisco, the Heartland Institute and the Independent Institute held a joint rebuttal panel discussion in Oakland, California, against GCAS. In the rebuttal discussion, a group of scientists and researchers claimed that there isn’t universal scientific approval of a climate crisis. “We feel that it is very important that science drives the discussion and the politics,” Taylor said during the rebuttal discussion. GCAS, on the other hand, held “A Dialogue on How Science Is Supporting Climate Action” as part of its events. The dialogue at GCAS featured speakers such as California Gov. Jerry Brown, Environmental Protection Agency Administrator Gina McCarthy, and University of California President Janet Napolitano. In the rebuttal discussion, Dr. Stanley Goldenberg, one of the meteorologists who sits on the panel, read a monthly weather review published by the American Meteorology Society in 1922. Dr. Goldenberg then suggested that that 1920s weather review be read at GCAS. Taylor pointed out that if carbon dioxide emissions and global warming were truly the concerns of the Paris Agreement, nations around the world would appreciate and learn from the United States, because carbon dioxide emissions in the states have declined 14 percent since 2005, while in the same time period, the rest of the world’s carbon dioxide emissions rose by 56 percent. However, instead of being held as a shining example, the United States has been criticized by the nations joining the global climate summit, Taylor said. The Paris Agreement requires developed countries to pay $100 billion each year, which proves that “the United Nations’ goal is to transfer money and power from the democracy countries to the United Nations,” Taylor stated. Taylor said that France has the most support for taking steps to address global warming, but even in France, the “yellow vest” movement shows that there’s a limit to how much of their taxes the people are willing to spend on these measures. 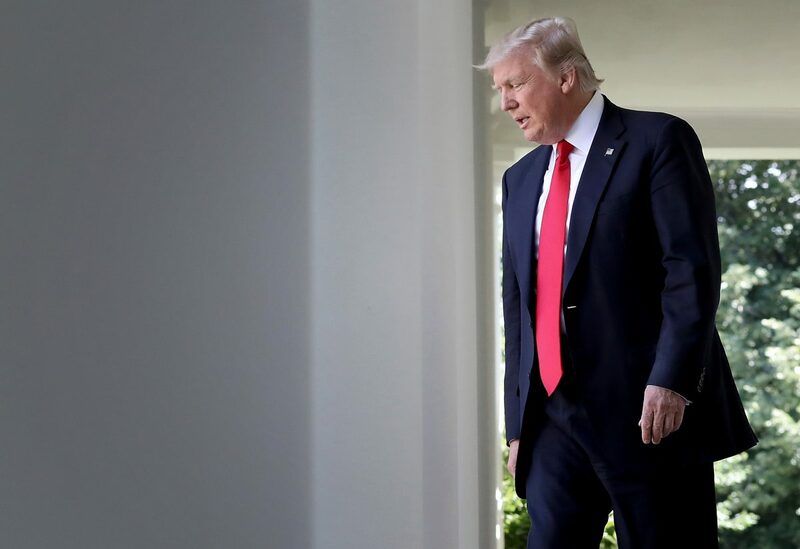 Although the rebuttal to the claims of a climate-change crisis by these scientists comes 27 years after UNFCCC, it may be just in time for the Green New Deal battle in Congress.